The revolutionary EasyCare is a fully configurable healthcare bed offered at price points ideal for care facilities of any size. 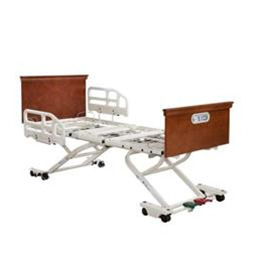 Enhanced functionality and mobility features allow the bed to be configured to meet a variety of needs - for both the patient and caregiver. Create the bed that works best for your patients and facility with features such as best-in-class integrated width expansion, pedal locking system, reinforced sleep deck, redesigned panel retentions, and new mattress corner stops that adjust with the bed width. Travel Range 7" to 30"
Width 35", 39" or 42"
Length 76", 80", 84", 88"